NEWSFLASH!! There’s a brand new formula in town and she’s here to save the day…for your nails. I don’t know about you, but I DREAM of being able to wear no polish and rocking healthy, bright, all-natural, non-chipping nails. Unfortunately I’m one of those gals that suffers from weak, peeling nails that turn slightly yellow when I leave nail polish on for more than a week and a half, so I’m always in a debate when it comes to getting manis. It might be less annoying than getting a pimple on my face, but at least I have spot treatment to cure that. So when LC mentioned a new nail treatment that sounded like something I might have been looking a loooong time for, called IBX, I was down to test it for the site. Just to give a little background, IBX is the first salon-only natural nail treatment that penetrates the nail plate to enhance growth and protects nails from gel polish damage. I myself have always been nervous about gel polish and therefore have never used it, but nonetheless my nails needed some revivin’. 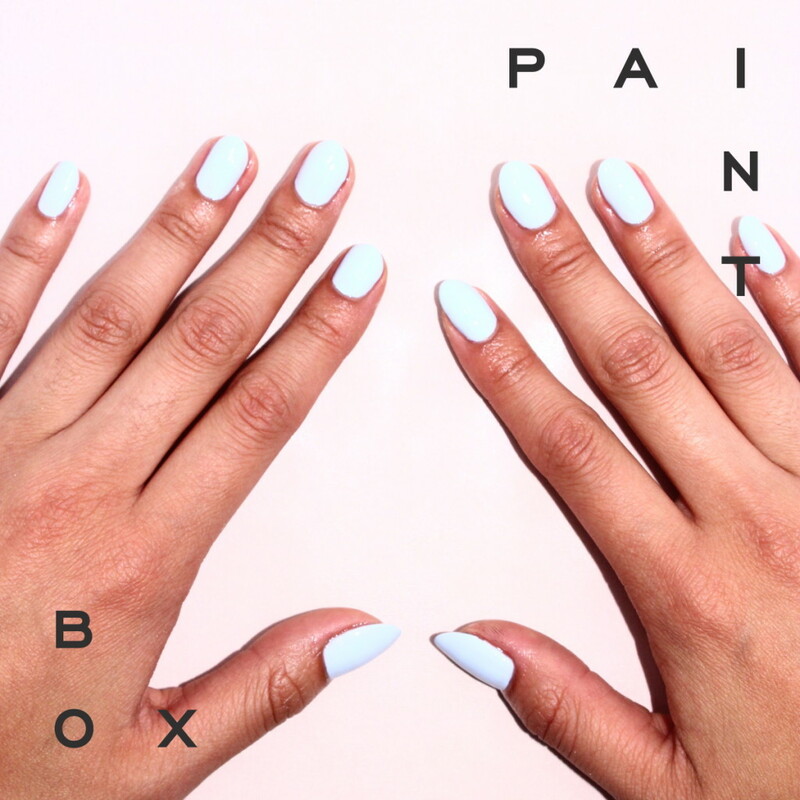 IBX is currently being offered at only two locations in NYC, Polished and Paintbox, so I headed to Paintbox since it was the closest to me. There are two components to the IBX system: IBX Repair and IBX. IBX Repair is used first to help treat particularly weak, thin and splitting nails (that’s me! ), and acts as an additional protective layer to seal damaged areas together. After one coat, my nails alternatively sat under a warm lamp to receive the heat that would help the formula seep into my nails. 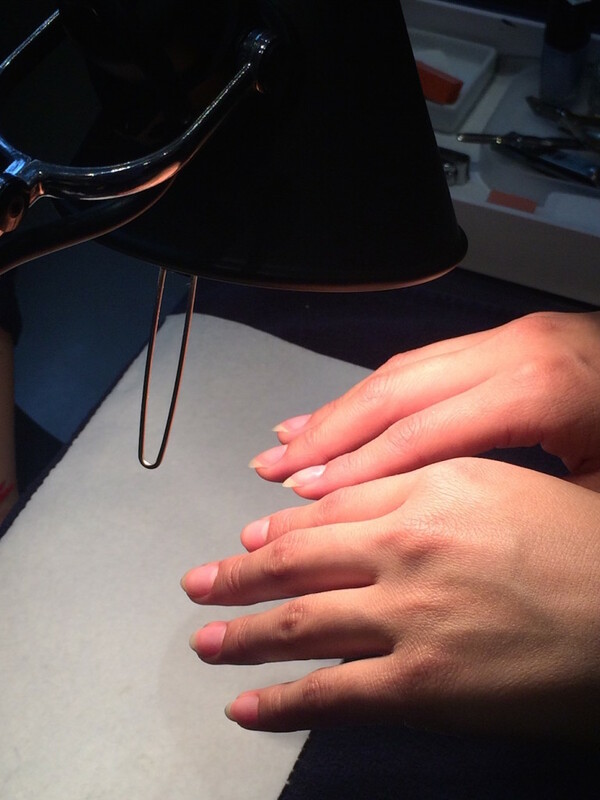 Unlike other treatments, IBX works inside the nail versus the traditional formula that sits on top of the nail. This step lasted less than a minute. 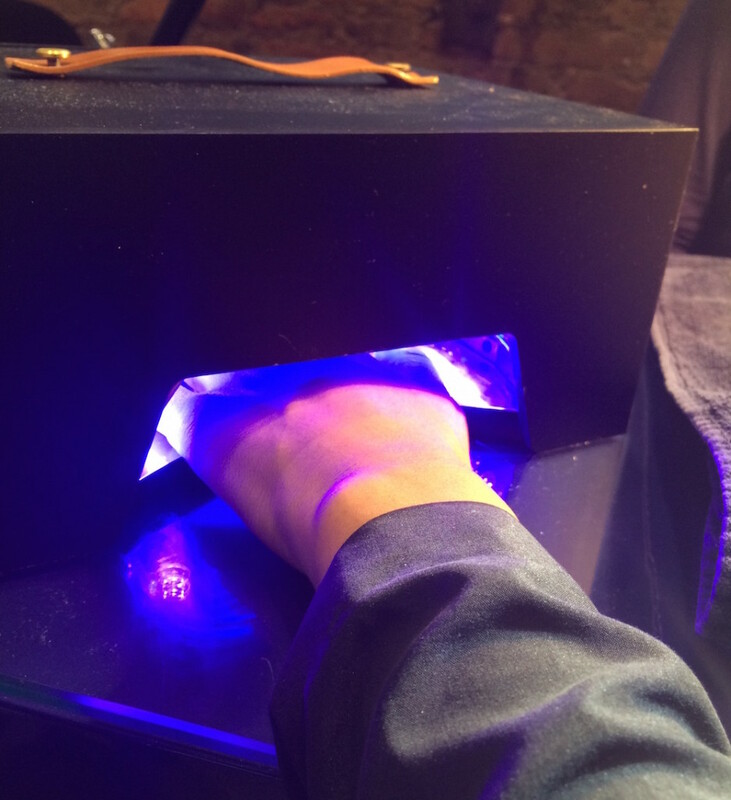 Next, I placed my hands under an LED light for approximately 4 minutes each to cure the nails. The manicurist then blotted the excess polish off with a cotton ball, and repeated the process again to ensure full penetration and protection (Note: this part is optional depending on how damaged your nails are). The second time around with the IBX Repair required only 2-3 minutes each before I moved onto the next step of the system, IBX. This part fuses the nail’s top layers in order to strengthen the nail plate, and completes the formation of the interpenetrating polymer network (IPN) to lock in the formula. The same apply polish/heat/LED light process went for the IBX, but for an even shorter time. After a total of 16 minutes, my nails were officially IBX-treated, which was immediately noticeable upon pressing against the tip of my nails. They were definitely a lot tougher and more difficult to bend, which was surprising to me after a few swipes of a formula and curing my nails under an LED light. And then, last but not least, the painting began. In the process of bringing my natural nails back to life, I found my new Holy Grail of polishes – CND Vinylux in Creekside. Just like my new nails, it’s a bright and fresh shade that’s perfect for a Summer tan to contrast from. My nails do not have a light yellowish hue like they usually do after keeping nail polish on. Normally, my nails start to flake or peel, but I can safely say I have yet to encounter that so far. No breaking or chipping off of any nail. They don’t feel as thin and are tougher to bend. Again, IBX is a salon-only treatment and is priced between an additional $10-15 on top of your desired manicure depending on the salon. I’m not one to usually buy add-ons when I get my nails done, but sparing the extra few dollars every now and then seems worth it to really give my nails the real treatment they deserve. With or without nail polish, I can actually say I nailed it. Note: This post is not sponsored. Product and service was provided for review, and all thoughts are unbiased and my own.